I've resisted the temptation of posting any kind of 'workplace' blog involving the Top Gear crew or the BBC in general. Not only does it seem to be marginally exploitative, but having seen a progression of death threats aimed at people who dare criticise I wasn't sure that I needed that kind of attention. 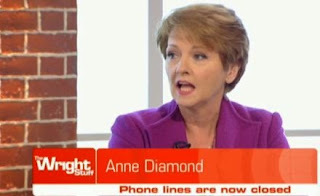 But then I caught a few minutes of the Wright Stuff on Channel Five recently, where Richard Madeley and Anne Diamond were discussing the Top Gear 'fracas' and I realised that I was hearing the same old 'abuse' story - but from TV personalities rather than corporate employees. This shouldn't surprise me - often we forget that the folks staring out at us from the gogglebox are 'real' people with real jobs, mouths to feed and mortgages to pay. What aggravated me was that both Richard Madeley and Anne Diamond both spoke of this kind of behaviour happening to them in the past, with a degree of implied acceptance that this was 'normal' behaviour in their industry. I love Top Gear - I find Jeremy, James and Richard great entertainment. There is no doubt that they provide a huge amount of revenue for their company, have immense talent and will be sadly missed by the vast majority of the viewing public (at least until they appear elsewhere). When you verbally and physically assault someone it is wrong. No matter who that person is, but particularly when that person is 'subservient' to you in the organisation, perceives that their job depends on you, or that you have power to make them suffer. There are no excuses - and in case I'm in line for some hate mail here, Mr Clarkson would appear to agree. The executive, who when aggravated, stressed, or simply in need of some entertainment thought it was OK to kick chairs at people in their office - or even outside their office door in the corridor. 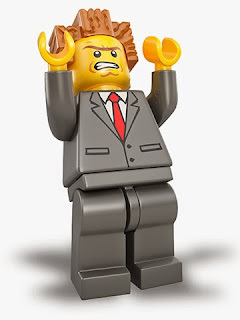 Sometimes I think the Lego policeman in the movie worked for him at some time. The senior leader who denied the whole office the right to go home on Christmas Eve if one person dared to ask what time they could leave - holding everyone in a frenzy of discomfort for the whole day (and for several weeks beforehand). The divisional head who enjoyed swearing loudly and publicly at staff so much, that even after multiple complaints, and subsequent warnings he continued until he had to be escorted off the premises - permanently. Behaviour that you accept spreads through your organisation - this works equally for positive and negative behaviours, but the negative ones spread much faster. Simply shrugging it off by saying "well that happened to me too" gives tacit approval to others to mimic poor behaviours, and actually promotes their belief that it's necessary to fit in. If you think any one of the examples above is even remotely acceptable behaviour, then I suggest you go and find a job where you can work alone, far from others, and if possible far from society in general.